Across the West, a wave of anti-establishment feeling is challenging a political order built on the idea that open borders and open trade are the key to prosperity. The last 12 months show how much so. In Britain, voters opted for Brexit despite dire warnings about its political and economic consequences, leaving discomfited U.K. officials to negotiate their country out of the European Union. In the United States, voters chose billionaire political outsider Donald Trump as president on campaign pledges to build a "great, great wall" on the border with Mexico, ban Muslims from entering the country, and scrap major free-trade deals. On the European continent, a nationalist government rose to power in Poland, a pro-EU government fell in Italy, and Austria narrowly averted electing the first far-right head of state in the EU's history. They're all part of a phenomenon that political analysts are still struggling to name. The rise of the right-wing, the rise of populism, the rise of anti-establishment parties -- the labels attempt to characterize a change that not only has taken many mainstream political parties by surprise but could dramatically reshape the West's social and economic policies. "It is not clear to me yet that a majority of people support a rolling-back on open borders or open trade, but what we have here is a divided public, a part of the public that feels as though these policies of globalism or issues about immigration haven't worked in their favor and therefore they are protesting at the ballot box," says Michael Cullinane, a professor of U.S. history at Northumbria University in Britain. A series of elections in Italy, France, Germany, and the Netherlands in 2017 will provide key battlegrounds where the anti-establishment mood will be tested further, raising the possibility the EU could break up beyond Brexit as many of the populist parties dub Brussels a threat to their countries' interests and identities. "What we want is to bring back the values, the identity, the culture and the money, and put forward again national interests," Geert Wilders, the leader of the populist Geert Wilders's Party for Freedom in the Netherlands, says. It is a description that fits many of the other populist parties as well, even as they espouse a wide variety of different ideologies. The anti-establishment parties range from the right-wing National Front of Marine Le Pen in France, to the nationalist Alternative for Deutschland in Germany, to the left-wing Podemos in Spain and Syriza in Greece. But if their appeals range from anti-immigration to anti-austerity, the concerns of their voters are frequently shared: jobs, incomes, worries that globalization is putting them out of work, and fears of immigration, cultural change, and terrorism. How these parties will try to reshape their societies is now the main question in many Western capitals. Many analysts see the European Union as particularly under threat as Italy, France, the Netherlands, and Germany -- all with strong anti-Brussels parties or currents -- hold elections next year in the shadow of the Brexit vote. In Italy, which has yet to schedule legislative elections following the resignation of pro-EU Prime Minister Matteo Renzi in December, the populist Five Star Movement has 30 percent voter support and is the country's second-largest party. Headed by comedian and blogger Beppe Grillo, it wants a referendum on whether Italy should leave the eurozone. The country's other populist party, the Northern League, with 12 percent voter support, is nationalist and anti-immigrant, and seeks to take Italy out of the EU altogether. And in the Netherlands, which holds a general election in March, Wilder's Freedom Party is widely expected to win the most votes even as he is viewed by most of the country's other political leaders as too extreme to be partner in any ruling coalition. The Freedom Party is anti-euro, anti-EU, anti-immigration, and anti-Islam. In France, which holds a presidential election in April, the National Front's Le Pen polls just a few percentage points behind leading contender Francois Fillon of the center-right Republicans. 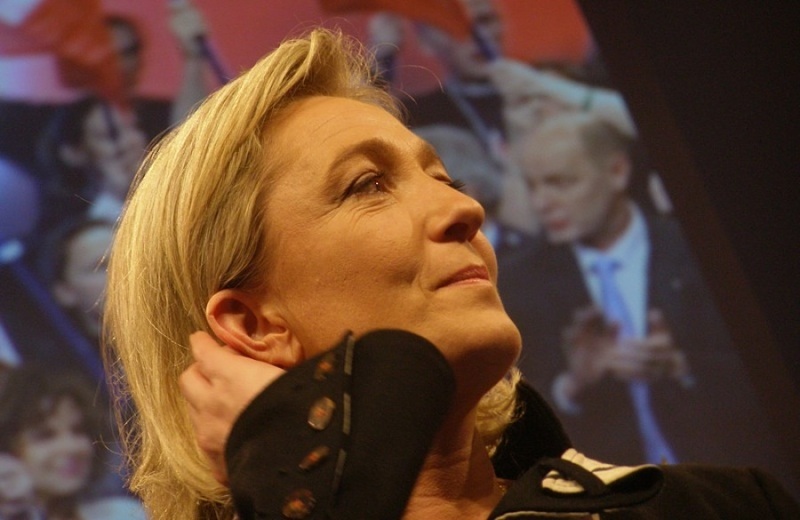 The anti-EU, anti-immigrant Le Pen has vowed to hold a referendum on whether to leave the EU if elected. In Germany, the anti-eurozone Alternative for Germany is poised to enter the national parliament for the first time during legislative elections due before October 22. The party, which opposes the common currency but not the EU and is anti-immigration and anti-Islam -- has made rapid gains since it was formed in 2013, with seats already in 10 of Germany's 16 state parliaments. Recent polls gauge its popular support at around 16 percent, putting it in third place after the mainstream opposition Social Democrats, with 22 percent, and Chancellor Angela Merkel's Christian Democratic Union, with 32 percent. "It is a risky couple of years ahead for the European Union as we currently know it," says Marco Incerti, an EU policy analyst with the Center for European Policy Studies in Brussels. "The main question will also have to be whether eventually some countries' shift in a certain direction will mean the end of the Union or [only] these countries withdrawing from the European Union, which could then survive in a different form or in a smaller grouping." In the United States, the direction that Trump's Republican administration will take under his mobilizing slogan of "Make America Great Again" after January 20 is still to be seen. "It's very difficult to predict how Trump is going to behave and whether he is actually going to push forward all the things he said in the campaign, and, even if he just pushes forward a few, which ones will they be," says Rosa Balfour of the Brussels-based German Marshall Fund of the United States. "It is very much related to him, his own personality, rather than to an ideology." Among Trump's frequently repeated promises are a curb on illegal immigration and the negotiation of tougher trade deals to protect U.S. industry as he promises to represent economically struggling Americans who say their interests have been ignored by the political elite. Many analysts view the rapid rise of the populist parties as partly the product of the slow economic recovery in Western countries since the financial crisis of 2008. "What we've seen since 2008 and the global financial crisis that came that year is an inability of governments all over the world to bring growth in the way many people expected after a major recession or depression," Cullinane says. "That has not happened, and populism is a reaction to those things." Cullinane notes that in 1992, when there was a major banking crisis in the United States, there was a rebound of 5 to 6 percent in growth following the crisis. But since the 2008 implosion of risky securities markets and collapse of the real-estate bubble in the United States and the resulting global liquidity crisis, the rebound has been much slower, with average growth of under 4 percent a year in the United States and barely over 1 percent in the EU, which is also still struggling to shore up its currency, the euro. For many observers, the economic difficulties are symptoms of still deeper problems in the West that may be at the root of the current political turmoil. "The social contract that America has had, and this is also true arguably for Europe, that we've had for seventy-odd years no longer adds up," says Xenia Wickett, who heads the United States and the Americas program at London-based Chatham House. She notes that the population is aging, there are more older people relying on younger ones for support, productivity is slowing, and there has not been enough investing in infrastructure and education. A return to the kind of mainstream stability that has traditionally characterized American politics -- and modern Western politics in general -- may only come when the voice of those who feel they are being left behind has been heard and a new social equilibrium is achieved. RFE/RL Brussels correspondent Rikard Jozwiak contributed to this story.